Each year the Students' Union offers the opportunity for one graduate of that year the chance to work from a central London studio for 12 weeks. The Residency opportunity is a fantastic way to develop your practice further ensuring that you still have a place to work post-degree and a space to think. Alongside a free studio - the Residency gives access to a Materials budget of £500.00 and on-going practical and conversational critical support from the creative team based at High Holborn. The selected student will also have coordination support for a final show at the end of September. We're pleased to announce that Miette Farrer, Katie Westwood and Amber Young are our 2018 recipients for the Arts SU Summer Residency Programme. Miette, Katie and Amber graduated this year from London College of Fashion after studying for a BA in Fashion Design - Embroidery. 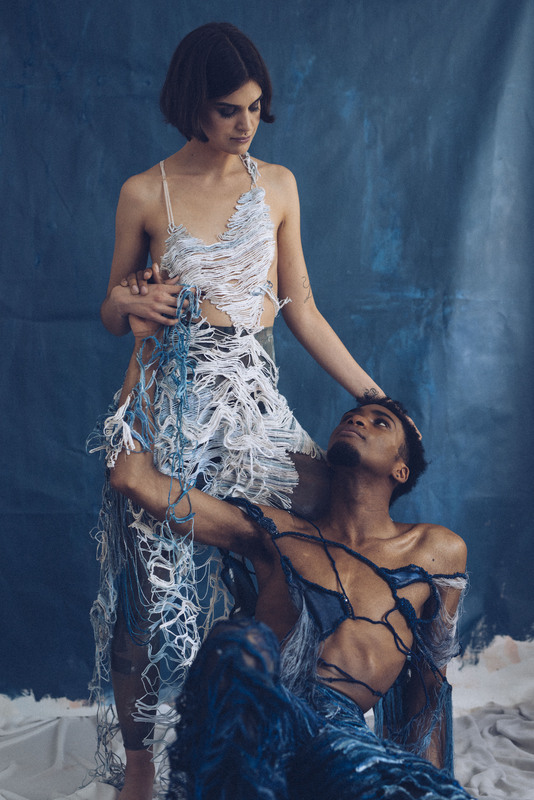 The aim of this residency will be the development and merging of three LCF graduates final year textile collections, reworked and interpreted into textile art pieces. Themes of commentary on everyday life, subverting the familiar and personal emotive responses will be explored through hand embroidery and mixed media textiles. Mass produced objects are subverted through labour intensive textile techniques and material choices, making a playful comment on societies attitude towards consumption. *Our Chelsea Residency was only available for the year of 2017 and was a 6 week programme, a reduced materials budget of £250 and final show. Rachel Littlewood and Sean Wyatt-Livesley - BA Design for Graphic Communication, LCC. Case study.